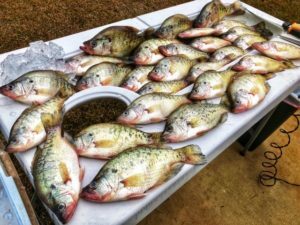 Many D’Arbonne channel crappie are small to medium, but a lot of slabs like these caught Saturday are also biting. 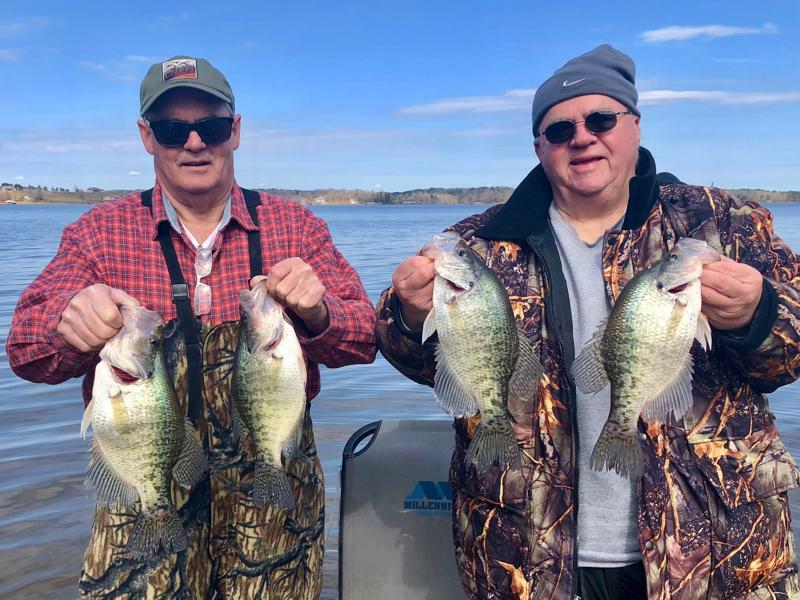 The winter crappie bite is on at Lake D’Arbonne. Shad have stacked up in the 25-40 foot deep river channels of the reservoir. The crappie moved in right behind, and the fishermen have followed. 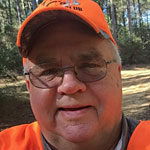 This past weekend, a conservative estimate is that more than 300 boats were channel fishing for crappie. Crappie are running small to medium, but two pounders are fairly normal as the fish fatten up for the spawn. Crappie like these get stacked up in the deepest areas of the lake when water temperatures drop. The best bite is between 16-19 feet. Fishermen are having success with double minnow rigs and double jig rigs. Double rigs give anglers a chance to space out their baits a foot to 18 inches apart and cover more water and more fish. Best color jigs are Garland’s Lights Out, Blue Thunder and Electric Chicken. Many anglers single pole or double poles all the way up to full spider rigs with as many as eight poles per boat. The fish are favoring the middles of the channels, but with weather changes, they often move closer to the edges or concentrate in the bends and curves. 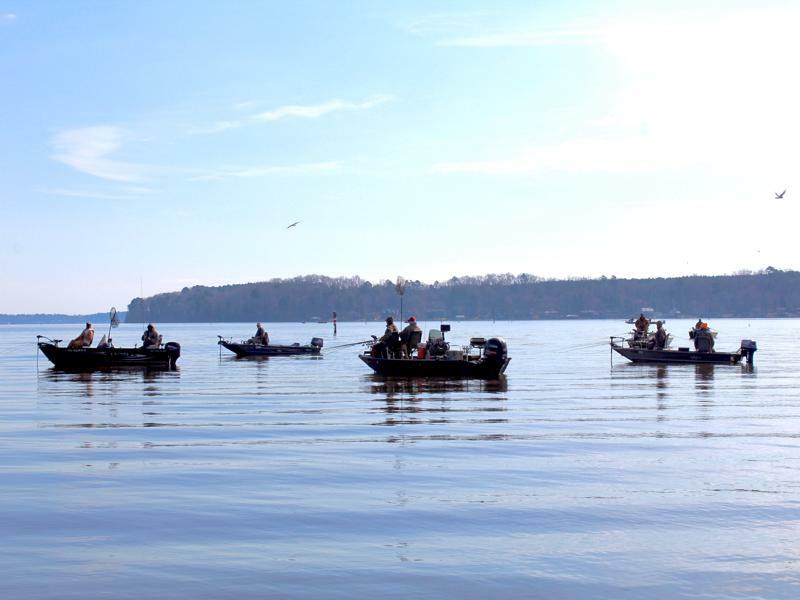 Several boats of fishermen group up on a crappie school on the D’Arbonne channel on Sunday, Jan. 27. Patience is the key for the deep fish. Even though anglers see them on their electronics all the time, the fish don’t bite all day every day. But if you stay where the fish are, odds are it’ll make your trip worthwhile. You can get the latest report or set up a trip with Nick by calling 318-243-8646 or message him on Facebook at D’Arbonne Lake Guide Service.